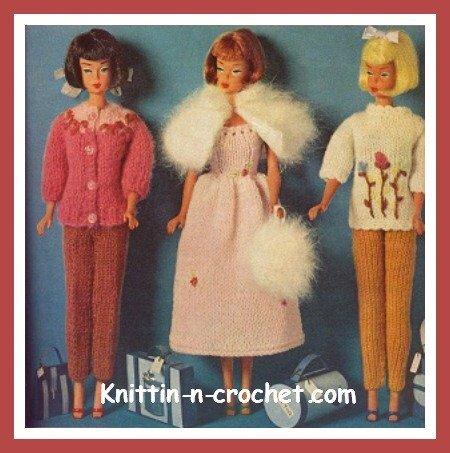 If you are looking for Barbie doll clothes patterns to knit than these outfits will fit the bill. You can make your own doll clothes and dress any 11 ½ inch fashion doll in style while using these doll clothes patterns. Just about every girl of any age loves Barbie. This fashion doll first appeared in the late 50's at the American International Toy fair and she has been going strong ever since. It is rare to find anyone who may not know who she is or how popular she has become over the years. The most interesting thing about this particular fashion doll is that Barbie comes in various designs and some of those designs include being any number of particular celebrities. 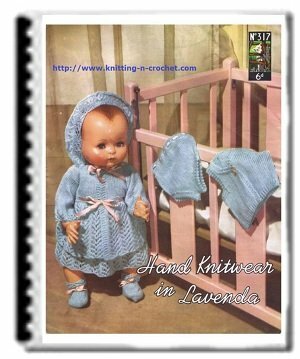 While using these knitting patterns you can dress those dolls up or down to create the type of appearance you like. Whether you are a beginner, an intermediate or experienced knitter, you will find something here that you can make for yourself, your children or to offer as gift ideas to all the Barbie lovers you know. Once you find the pattern you like you might want to make numerous versions of it by using different colors of knitting thread. On the other hand, you may be interested in making Barbie clothes to sell for a profit. 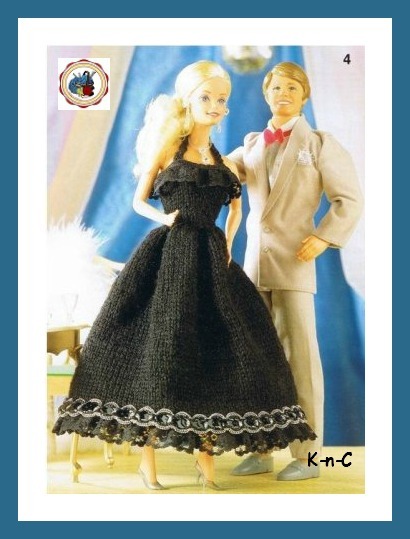 Barbie doll clothes are a very popular item for sale or online auctions. Although, many people are mesmerized by the charming appearance of knit clothing and other delicate handmade items, many of them do not know how to knit. Many people are searching for such items for their children, while others may be searching for just the right outfits and accessories to dress up some of their collectable Barbie dolls. This is especially true when finding these dolls while shopping in thrift stores and yard sales. 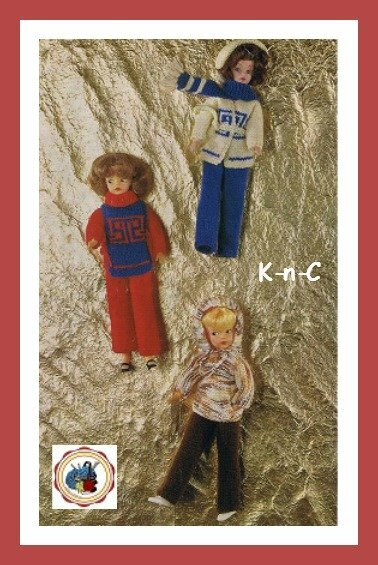 You can knit until your heart is content while using these knitting Barbie doll clothes patterns. For instance, some of the types of clothing patterns you can knit to dress up Barbie include sweaters, skirts, hats, pants and various others. While making these various types of doll clothes, you can mix and match Barbie doll outfits. You can thrill anyone with the clothes you can learn to make for this type of fashion doll. You may even consider designing your own Barbie doll clothes patterns for particular holidays or special occasions. Regardless of the type of knitting Barbie doll clothes patterns you choose to follow while making clothes for Barbie, she will always look great. After dressing her in your own handmade creations, she will be ready to enjoy any serious or playful moment. Whether she is hanging out around the house or out for an evening on the town these various knitted clothes patterns can help her make her very best impression. Try some of these patterns for yourself. Another great thing about them is that they are easy to follow and you can teach your children to knit their own Barbie doll clothes. You know how satisfied you feel after completing a sewing project; just imagine the smiling pride of you little someone learning how to follow these simple patterns for herself, to dress her favorite Barbie doll.